Miss Squire, 21, disappeared more than a week ago after a night out with friends. 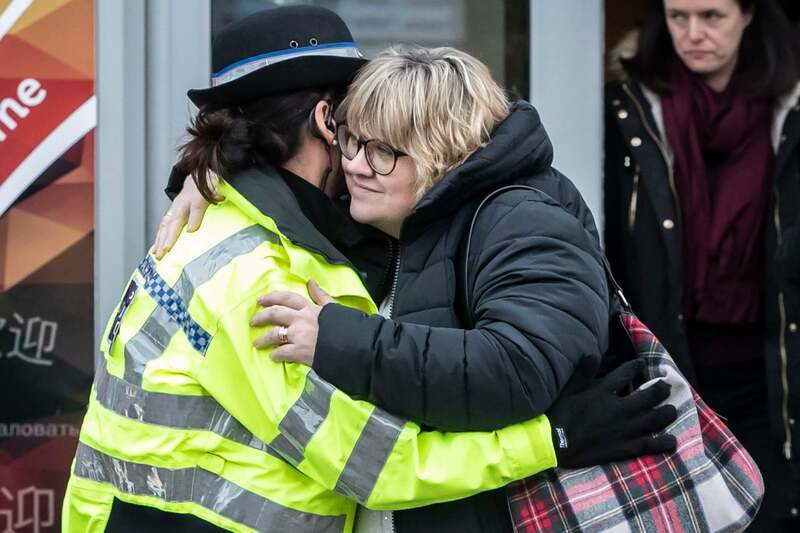 Her mother, Lisa Squire, could be seen hugging a police officer in a touching moment as she left the Hull Community Church following the vigil. Detectives have previously said that they are continuing to treat Miss Squire’s disappearance as a missing persons investigation. On Sunday, officers could be seen entering a property on Raglan Street, Hull, where a 24-year-old man was arrested on Wednesday night on suspicion of abducting the missing student. Humberside Police announced on Saturday evening that they had been granted another 24 hours to question the arrested man. The extension allows detectives to quiz the man until 9pm on Sunday. It is understood that police are examining CCTV footage, obtained by ITV News, which shows a man getting in and out of a car minutes after the last sighting of the student, who is originally from High Wycombe, Buckinghamshire. Detective Superintendent Matthew Hutchinson said on Saturday: “We are still treating Libby’s disappearance as a missing persons inquiry. I have said previously that we are keeping an open mind as to her whereabouts and that is still very much the case.